Recently found these ants and ant holes on the sidewalk outside my house. This pesky problem usually surfaces around springtime when it gets a little warmer out. You see a little trail of movement somewhere inside or outside your home. Ants are coming out of a kind of hibernation or very low activity state (ants don’t sleep) from their nests around that time and making their presence known and giving you a feeling of uneasiness. I know the feeling. I have had to get rid of ants in and around my home several times in the past. Instead of calling a pest control company to get rid of the problem I tried some Boric acid, which I already had in my medicine cabinet. 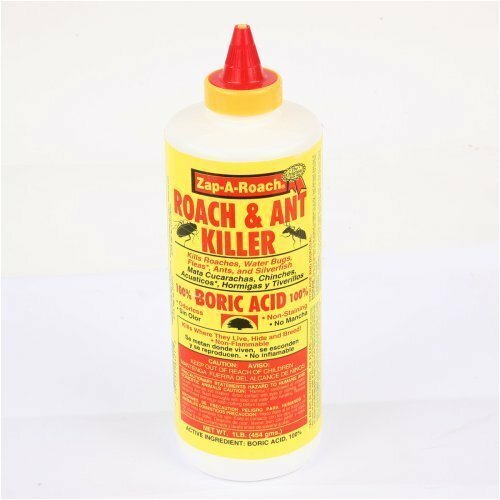 I had heard that Boric acid worked well to kill ants and thought I’d give it a try. After sprinkling some Boric Acid Powder on the ant holes and along sidewalk crack. How does it work? Boric acid works as a poison to the ant’s digestive system as well as an abrasive on their exoskeleton structures. The worker ants that you typically see, take the granules of the powder to the rest of the colony and unknowingly kill the colony and themselves. Where to find Boric acid? 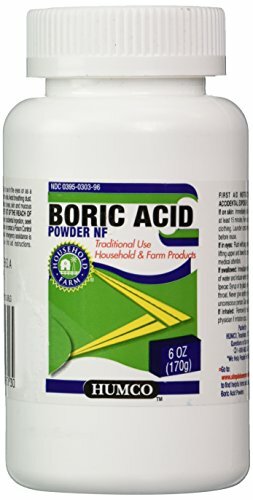 You can find Boric acid at any pharmacy or grocery store in the medicine section. It is over the counter and very inexpensive. I think I paid $2.19 for a 3 oz. jar years ago. How to apply? Some folks that have used this method will dilute the powder with water or mix it with a sweetener of some type. I have never done that and just applied it straight out of the container by sprinkling some onto the ant holes if the problem is outside or anywhere you see the trail of ants, like window sills, counters or floor trim, this method has worked well for me. So that is how I recommend you try it. No fuss, no muss. You will notice they will be gone in a day or two. More Boric Acid sprinkling on pesky ants. They will take these Boric Acid granules into their colony to feed the other workers. This is a great do-it-yourself method to rid of your home of ants, and it may also work for cockroaches, silverfish and other pests. I’ve only tried it with ant problems so I cannot vouch for its effectiveness on other insects. So if you have ant problems, don’t call a pest control company until you try Boric acid and save yourself some money and be ant free. This common Boric Acid will do the trick. We use this all the time when travelling. Ants love to come into our caravan so we sprinkle around the wheels and the electrical cord. The love climbing up onto the van on the electrical cord. We have always added a bit of sugar mixed with it. It entices them into eating more I think. I'm glad you've had success with it as well. I might have to try sweetening it up next time.